Tickets are now available for the Excellence in Patient Support conference which will take place on Tuesday 28 November in London. 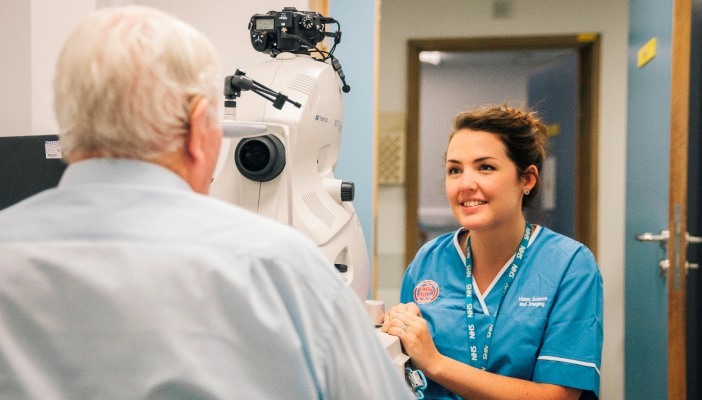 The event is open to all staff working in the eye care sector and will focus on the latest in macular treatments, best practice, patient experience of the eye clinic, and depression and anxiety in sight loss. Attendees will hear from a wide range of leading experts, including top ophthalmologists and researchers. There will also be a small group of exhibitors throughout the day. Jacqui Ide, a sensory impairment worker from Sensory Services by Sight for Surrey, was one professional who attended last year’s conference. Location: Resource for London, 365 Holloway Road, London N7 6PA. Cost: tickets are £45 each and are available from the Macular Society website. For more information about the conference, please contact Jessica Murray, Macular Society professional liaison officer, on 01264 322 412 or email [email protected]. Call the Macular Society on 0300 3030 111 or email [email protected] for information, advice and support about the condition.